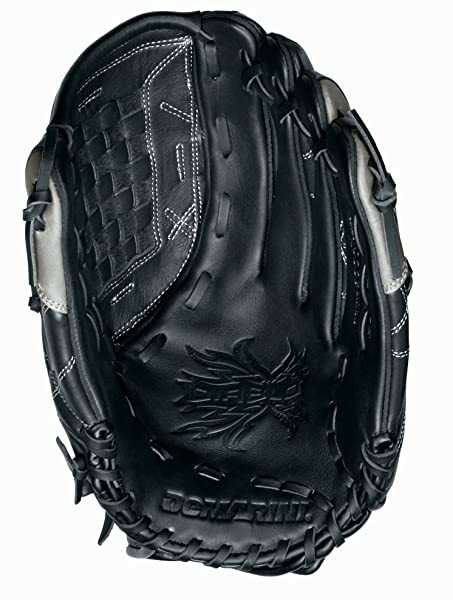 A soft and durable softball glove is what most slow pitch players are always looking for to improve their performance. 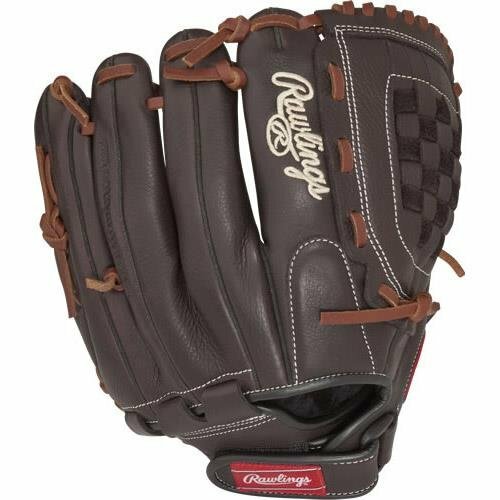 The Easton Salvo is as soft and comfortable as any softball glove can get thanks to the steerhide leather that also makes it a very structurally sound glove. Also, this fantastic slow pitch glove features Double Deep Palm design, Basket-Web design, Lock Down Wrist Strap for a comfortable and secure fit and VRS Palm Padding to protect the hand from shock. And the glove is available for both left and right-hand throwers. Material: Easton uses a 365 steerhide leather to make this softball glove. The choice of material makes this a soft and durable glove while also ensuring that it is structurally sound. 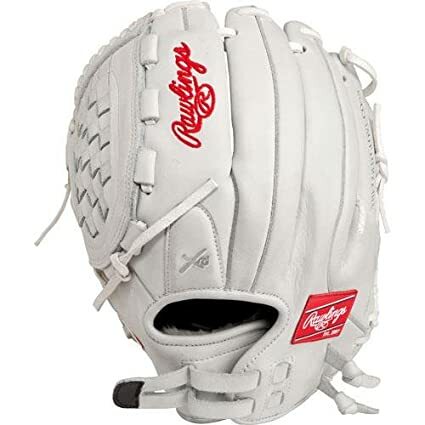 Double Deep Palm: The double deep pocket is one of the features that make this a perfect softball glove. This deep pocket is broader and deeper to make it easy to catch and keep the balls. Lock Down Wrist Strap: The Lock Down wrist strap provides a secure and comfortable fit for all hand sizes. VRS Palm Padding: The strategic placement of the VRS padding on the palm will help to reduce shock and sting so that players always get maximum comfort. Mesh Inserts: Easton places mesh inserts on this glove strategically to make it more flexible and also reduce the weight so that players can handle it with ease. The steerhide gives the glove sturdy feel and also make it very durable. It has a nice palm padding to protect the hand from stings and absorb shock. Softball players will love the wider and deeper pocket. An ideal glove for snagging line shots and shagging fly balls. It feels great on the hand even for players with large hands. The Lock Down adjustable strap provides a custom and secure fit. You can get it for both left and right-handed throwers. Strategic placement of mesh inserts to offer more flexibility and reduces the weight. The material on the inside tends to collect sweat a lot. Some players complain that the glove materials start to wrinkle after a while. 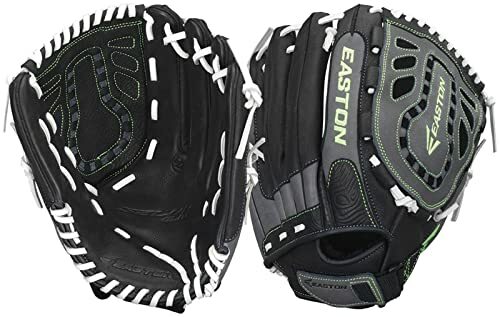 Easton Salvo Elite Series is a top notch and highly durable softball glove that will be a good choice for those that play slow pitch. Despite its relatively small price tag, the glove features a high-quality steerhide construction to ensure that you get to use it for many seasons. And if you are worried about shock and sting when catching balls this will also be an excellent pick for you because the palm padding takes care of this. 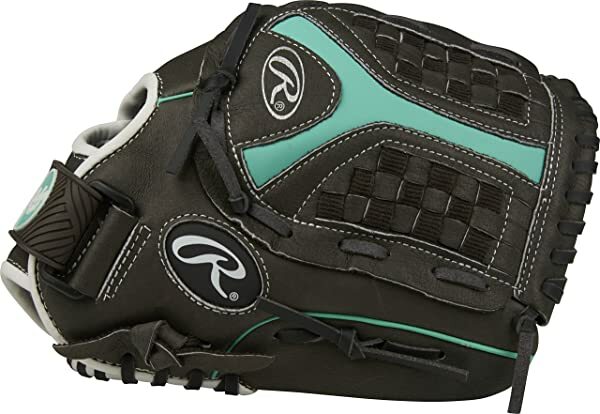 There are also many other things that make this softball glove standout such as the adjustable strap that makes it easy to get a custom and secure fit regardless of your hand size and the deeper and wider pocket. And although it also has a few shortcomings there is nothing significant that can affect its performance, and so this will be a good buy for any slow pitch softball player.